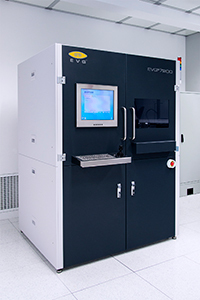 The HERCULES®NIL is designed with EVG’s proprietary SmartNIL imprinting technology with resist coating, cleaning and baking preprocessing steps and is the latest addition to EVG’s NIL product range. 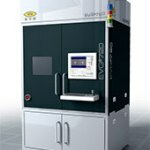 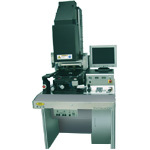 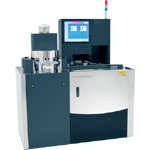 The HERCULES®NIL is a fully-integrated UV nanoimprint lithography track system designed for wafers up to 200 mm in size. 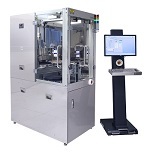 It is based on a modular platform and is a “one stop shop“ solution where the user loads the tool with bare wafers and 100% processed nanostructured wafers are returned. 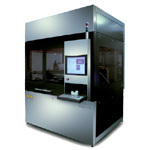 The system can be used to optimize the process chain and manufacture multi-use soft stamps, which act as the foundation for high-volume production, without the need for supplementary equipment. 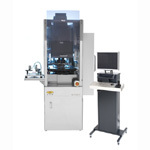 A special feature of the HERCULES®NIL is that it can be upgraded with a Class 1 (ISO 3) capable mini-environment to ensure the highest-quality master replication and lowest defect rates. 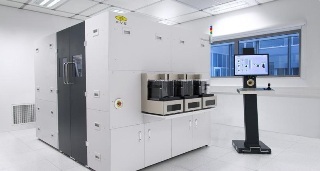 The introduction of the HERCULES®NIL as a 100% NIL solution for high-volume manufacturing, has reinforced EVG’s position in the full-area NIL equipment sector.